10 weeks, 30 blog entries and far too many words to count has led to this – the end of my blog. I enjoyed writing each blog entry throughout the term and have gained a considerable amount of knowledge from this media writing course. However, as the term comes to a close, the end of one assessment allows me to redirect my time to another. The layout of my blog is clean, easy to read and navigate. I kept the layout of my blog minimalistic and easy to digest. I used the same font, colour and size for each blog post. I have completed a total of 30 blog entries which is the required amount for assessment two. I have referred to the blog task requirements sheet to ensure that I have covered each week’s blog activities. The major challenges I faced throughout this assessment were keeping up to date with each blog activity and peer-reviewing. Although keeping up to date with the weekly tasks proved to be difficult, I honestly believe that all of my blog tasks have been quite thorough and go beyond a “brief reflection”. Keeping up with the peer-review each week was quite difficult for me. The bulk of my peer reviews started in week 8 because I didn’t devote enough time to the task throughout the term. I’m really glad that I worked on the assessment throughout the term and didn’t leave it to the last minute. 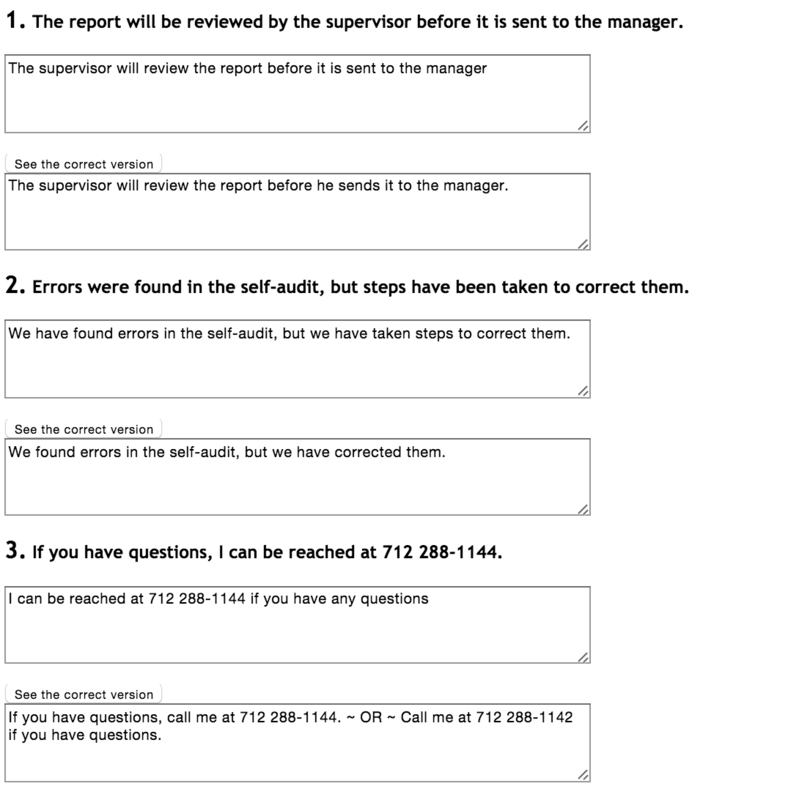 The review of peers on my blog also helped me to a great deal. Having other students review my blog helped me to correct the punctuation and grammar mistakes that I would’ve lost marks on. I think the assessment task is appropriately set up and encourages students to keep up to date throughout the term. I didn’t find the weekly activities too involved or too difficult and I think that the weekly content is set out really well and is easy to work through. My writing skills have improved greatly thanks to the blog activities. I’ve learnt to write shorter sentences, space out my paragraphs more and to read my work out loud to pick up mistakes. I’ve become aware of my grammar and punctuation, the use of ‘it’s/its’ and redundant words. I’m very happy with my attempt and hope that my efforts are reflected in my grade. 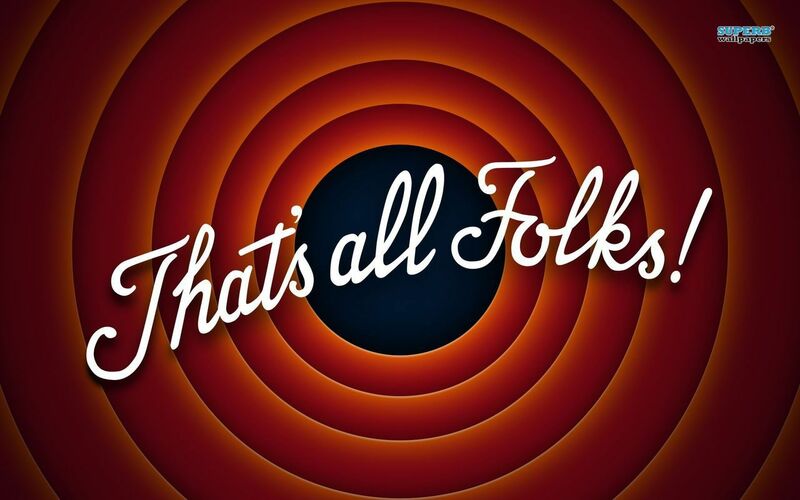 That’s all Folks! 2015, digital image, Looney Tunes Wiki, viewed on 17 September 2015, <http://looneytunes.wikia.com/wiki/That’s_All_Folks>. This blog entry marks my second last entry for this term. As I’m writing this entry, I can finally breathe a sigh of relief as the term winds down. 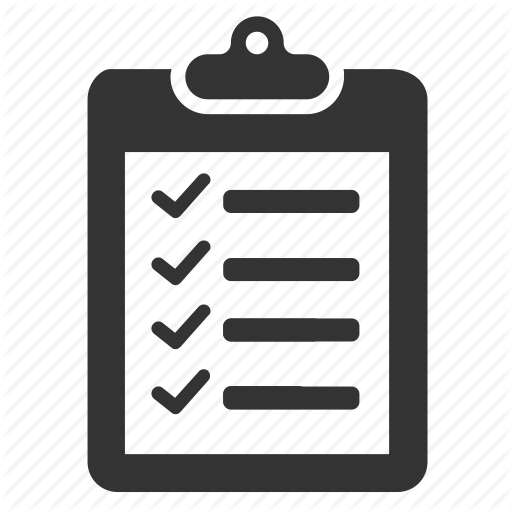 After reviewing the blog submission checklist provided by Kate Ames, I’m quite confident that I have addressed all aspects listed. All of my weekly activities have been clearly marked and I have adhered to the same structure for all 30 entries. These entries have also been categorised and tagged to allow for an easy search throughout the blog. The blog has a uniform and professional setup, all entries are easily accessible through the search bar and side menu. During the mid-semester blog reviews by the the lecturers, my attention was drawn to how frequently I use ‘it’s’ in sentences that do not contain possession and where an apostrophe is redundant. I’ve tried to be aware of this issue when writing and hope to nip it in the bud. I have followed frequently referred to the Harvard Referencing guide provided on the CQU website when quoting and referencing. I’ve ensured that all my referencing is uniform throughout however, I have some doubts as to whether I’m referencing correctly. I’ve made sure to spell out numbers under 10, capitalise all proper nouns and have scrutinised my grammar, punctuation and spelling. The addition of peer review has helped me tremendously as fellow students pick up on the mistakes that I have missed. An area of importance has been the length of my sentences and paragraphs. I was alerted to this in the review week by Kate. Kate’s review has been extremely valuable as it has highlighted areas that I need to focus on. Upon receipt of my assessment one piece, I was made aware of certain areas of punctuation and sentence structure that I was able to cross-reference with assessment two. I hope that I have cleared up all issues with grammar, punctuation and spelling in my posts and do not loose marks in this area. In conclusion, I’m very satisfied with my blog and believe I have adhered to the blog submission checklist quite well. 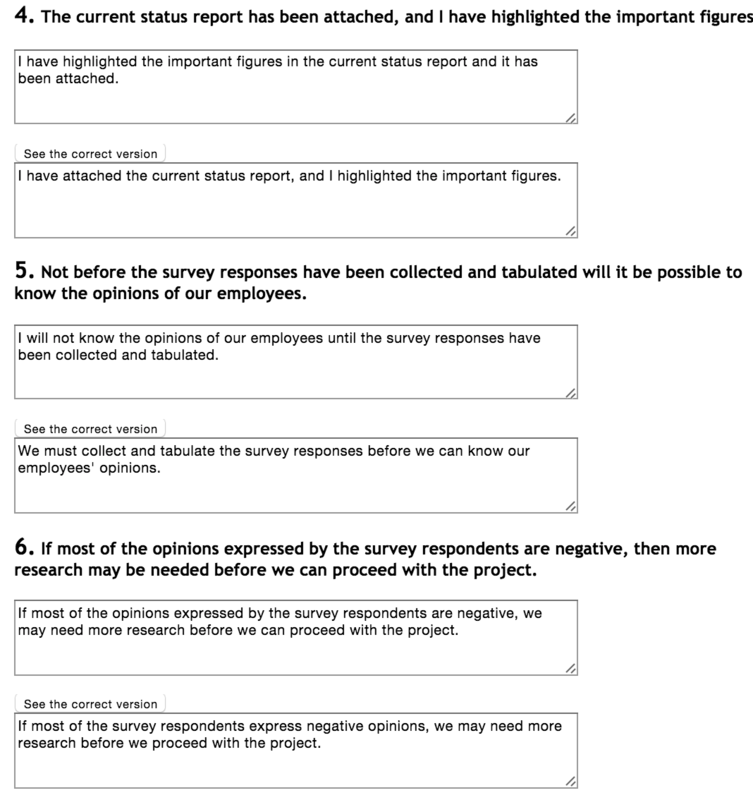 Ames, K 2015, COMM11007 Week 10 – Blog Submission Checklist, Central Queensland University, Mackay. For this week’s blog activity, I’ve chose Bunnings Warehouse as the website to review. I’ll admit, I’m a nerd when it comes to all things gardening. Bunnings is my ultimate shop – an odd thing to come from a 21 year-old female. I could spend hours wandering the aisles, spending a lot of money and making my gardens and home look fantastic – if I do say so myself. As I was reading through this week’s study guide, it occurred to me that Bunnings Warehouse would be an ideal website to cover. The website addresses all the elements mentioned in the study guide and made it quite easy to relay the week’s learnings to real life. The use of words correctly is paramount for the Bunnings Warehouse website. Visitors of the website need to be able to understand precisely what an object is, how it looks and what it is used for. Each item’s description needs to incorporate concrete words accompanied by qualifier words (Ames 2015) to help the consumer understand what they’re reading. This example uses concrete words and qualifier words to enable the visitor to understand the product. “Lattice” is the concrete word, without anything else the consumer wouldn’t know too much detail about the product. “Brown, Hardwood” are the qualifier words; these are descriptive and enable the consumer to envision the product and interpret as intended. The Bunnings Warehouse logos follow the KISS principle – an easy to read, simple design that is eye-catching. These logos both provides a very effective example brand recognition. According to Gillikin (2015, p.1) a logo is a ‘graphical display of a company’s unique identity’. The logos are recognisable and identifiable to consumers throughout Australia. Figure 1.4 is an example of relaying a message through a logo (Ames 2015). Bunnings have incorporated a hammer as part of their logo – this conveys information about the company and allows readers to gain and understanding that Bunnings Warehouse is a hardware store. I was unable to find any registered or pending trademarks of Bunnings/Bunnings Warehouse/ Lowest prices are just the beginning. I searched the web address provided and it showed no results. Even though Bunnings does not have a registered trade mark, the phrase “lowest prices are just the beginning” and the image of a hammer in a circle are widely consumer-known trademarks of Bunnings. Bunnings Warehouse’s signature colour is dark green, which according to Ames (2015 2015) is reflective of nature and safety. The signature green is a secondary hue made of blue and yellow which has a low colour value with a lower saturation. The background colours of the website are primarily neutral and natural colours. The colours featured are grey, black, the signature green and red highlights. The website addresses the rule indicated by Ames (2015, p.3) of ‘light coloured fonts on dark coloured backgrounds’. The font throughout the Bunnings website is simple and easy to read. I suspect they use a sans serif font as the this style would be most effective for the website. This selection of font is easier to understand and interpret (Ames 2015). The graphics used on the website are pictures of the products that the company sells. According to Ames (2015, p.4) ‘graphics assist understanding and complement the message’. The website uses photos and illustrations to provide extra information about a product. The photos used are high resolution, clear and compliment the message of the product. Where not an image is unavailable, the website features an illustration that is a representation of the product. The Bunnings Warehouse website has a range of styles depending on what page you click on. The products page features an asymmetrical balance – the left hand side of the page contains a navigation bar, the centre of the page contains the product listing and the right hand side is blank. The welcome page of the website is symmetrical; there is a even amount of information down the centre of the web page and no where else on the page. The website doesn’t contain sound unless the viewer opts to watch a D.I.Y video. However, Bunnings Warehouse have a signature jingle that accompanies advertisements and the companies slogan (Ames 2015). Reflection: I enjoyed completing this task for week ten. Partially because it is one of the final blog activities and partially because I enjoy applying the learnings to aspects of life. Whilst reading through the study guide and referring it to something familiar, it was interesting to see the strategies and tactics companies use in order to create brand recognition. Ames, K 2015, COMM11007 Week 10 – Impact of design, Central Queensland University, Mackay. Trip Advisor’s compilation of the best 25 hotels in the world is a example of effective, succinct curation. According to Bhargava (2011, cited in Michiel Gaasterland), effective content curation involves ‘sharing the best and most relevant content on a specific issue’. Trip advisor has achieved this by using reviews from its customers that accompany illustrations to add value to the piece (Bradshaw 2013). This is an effective strategy as readers can relate to these reviews; they are real reviews from people who have experienced the hotels. CNT’s collection of gold standard hotels is very informative. Gaasterland (2011) acknowledges that good curation involves using only the most specific and best information. CNT has provided a walk-through description of each hotel; they provide information on aspects of the hotel that the reader would be interested in knowing – the food, the grounds, what activities are available etc. The website accompanies limited visual aid to the hotel information. This results in the reader having to be directed elsewhere from the site to view the hotel in more depth. Both of these websites are targeted at an audience for an intended purpose – to provide them with information on the best hotels for 2015 (Ames 2015). Although very similar in target audience and intended purpose, both are very different in design. Trip Advisor’s website is very clean, well set out and easy to read. Each hotel is promoted succinctly; each section provides 4 images and a short quote taken from customer reviews from the original hotel page. Each section features a “more” option that will redirect the reader to the hotel’s Trip Advisor page that features all the excess information that the reader may require. CNT’s website is condensed to the point of clutter; each section on the featured hotel is one large paragraph. Although this paragraph is very informative, it is difficult to read and could deter the reader due to overwhelming information. CNT provides direct links to the featured hotel’s website. The website provides an overview of the hotel and then redirects the reader elsewhere. This could disruption could be annoying to the consumer as they then have to navigate another website. Reflection: Reviewing both of these websites was quite enjoyable and appealed to the wanderlust in me. It’s very interesting to see how two websites with the same intended audience and purpose can vary so greatly in design. If I was to (and I’m sure I will) recommend, or choose a website for personal use, Trip Advisor would be my selection. This is mostly due to previous experience with the company and the easy to navigate website. Content curation was a foreign concept to me, but now I have a better understanding thanks to the internet and links provided in this week’s learning material. Ames, K 2015, COMM11007 Week 9 – Content Generation vs Content Collaboration, Central Queensland University, Mackay. For this week’s blog activity, I have decided to review the Storify of Heather Rhebein. Heather has chosen the Shalom Markets in Bundaberg as her event. Because of Heather’s in depth and informative recollection of the event, the Storify provided me with plenty of information about the Shalom Markets. There is a weekly market held at Shalom College in Bundaberg. This is an opportunity for local farmers and growers to sell their produce and encourages locals to support their local businesses. There are stalls set up by locals where they can sell their own knick-knacks and treasures. These markets host a family friendly atmosphere, with plenty of activities catering for children such as jumping castles, face-painting and pony rides. The only thing I could think to make this story more interesting would be the addition of more photos. I think that Heather has incorporated plenty of quotes and has interviewed enough people from different demographics in order to gain a well-rounded response to the event. The structure itself is really well set out and flows quite well. My only constructive criticism is that the pictures could be arranged better with their corresponding paragraph. For example, Heather introduces Margret Thompson the candle maker, and then features a picture of jewellery before she features a picture of Margaret’s candles. This is the only area that I’ve picked up on, I cannot fault the rest of the Storify. I’m really impressed with the way that Heather has gone about this event. I think that all of the quotes and interviews she has included have been worked in to the story really well. Heather has given the reader a very thorough description of the event and supported this with photographic evidence. I think that Heather has incorporated appropriate photos for the event, and my only criticism is that maybe she could’ve included more. Really great job Heather, I hope this review helps. Rhebein, H 2015, Shalom markets Bundaberg, Storify, viewed 16 September 2015, <https://storify.com/MW_Heather/shalom-markets-bundaberg>. According to Whitaker, Ramsay and Smith (2012, p.91), ‘One of the most common guidelines for effective writing is to prefer active voice’. This allows for a more direct and stronger portrayal of what the writer is trying to convey to the reader. 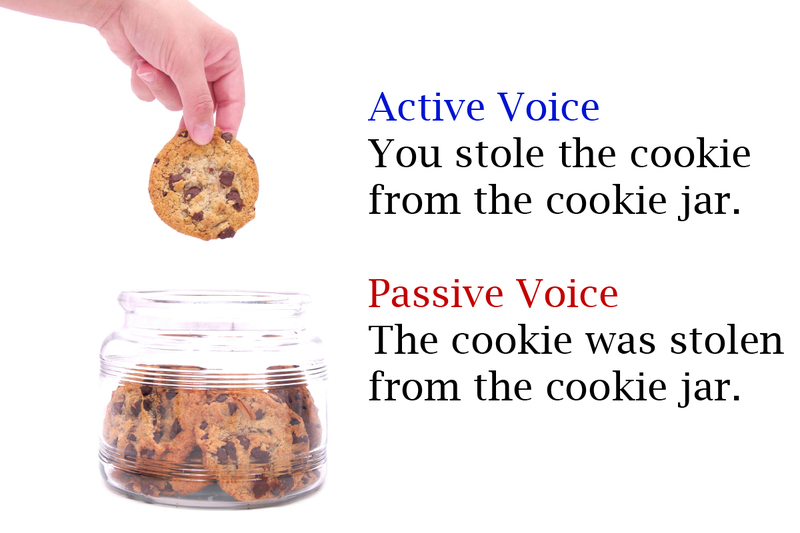 Active voice refers to a subject performing an action whereas passive voice refers to an action being done to the subject (Whitaker, Ramsay & Smith 2012). The Business Writing Centre provides a fantastic active vs. passive activity which encourages changing the structure of sentences from passive to active. I completed the task required and was quite surprised that I got a few questions correct with some questions only having minor details wrong. I’m finding myself questioning every sentence that I’m constructing, and scrutinising whether it’s active or passive. As I was working through the activity, some answers indicated the sentence was able to be shortened. In converting the sentence from passive to active, some unnecessary words were cut. For example question two – the correct version has been condensed and excess words removed. Some of the questions that I got “wrong” had not been condensed and indicated areas where I needed to gain more insight into what passive voice is and how to re-arrange it to make it active voice. Reflection: Overall, I’m glad that I have an understanding of active and passive voice and am becoming increasingly aware of how all these components that we are learning in this course are helping shape each sentence I construct. Whitaker, WR, Ramsey, JE & Smith, RD 2012, Media Writing: Print, Broadcast and Public Relations, 4th edition, Routledge, New York. Pinterest – the one stop shop for ideas and inspiration for almost every aspect of our daily lives. Pinterest can be a very useful tool for both personal and business use. This particular social media platform relies heavily on communication through images and does not require extensive (if any) words to accompany an image (Ames 2015). As Whitaker, Ramsay and Smith acknowledge, (2012, p. 289) ‘know the demographic of your audience, determine what they know and what they want to know’. This particularly important aspect of writing for social media has been addressed by the creators of Pinterest and can be seen by the 35 various categories users can search through. From a personal point of view, Pinterest can be used for a variety of different things. Brides-to-be can search for wedding ideas and gardeners can search for gardening tips and ideas. Those interested in D.I.Y can find ideas for around the home, and those interested in arts and craft can find a variety of different hobby ideas. Pinterest is a curation device. Pinterest condenses trillions of internet pages and features the most popular snippets for users to browse under any particular topic. In my spare time, I’m an avid gardener and enjoy spending hours in my vegetable garden. I’ve recently moved into a new house and had the job of renovating all existing garden beds – queue Pinterest. Pinterest allows me to browse gardening content from all across the internet that had been condensed and shared by people with like-minded interest. It provides me with inspiration on garden design, tips on what to plant in Spring and how to avoid insects and rodents. From a business point of view, Pinterest can be a useful way of communicating with customers. Firstly, a business account can encourage customers to share pictures of the product being used; this can be incentivised through competitions or campaigns. This encourages consumers and the business to interact and helps to promote the business. When customers pin and re-pin products, businesses could potentially see an increase in sales through the promotion of their products. This effectively is promotion of the product without too much output and intervention by the company. Pinterest has a business dedicated option that allows customers to buy direct from the Pinterest website (Pinterest 2015). Pinterest has revolutionised their site to allow for businesses to set up their own account. An example of a company that has broadened its horizons to Pinterest is Australian stationary brand Kikki.K (Sperti 2012). The company effectively promotes their products through pinning and re-pinning of their customers. This is an avenue that promotes the products without too much intervention by the company. In conclusion, from a personal and business point of view, Pinterest is highly effective in connecting people to items of interest without the difficulty of searching the web. The sharing of content on Pinterest increases each day, and I anticipate in the not too distant future, Pinterest will be alongside Facebook as one of the most influential social media platforms of the 21st century. Reflection: I really enjoyed this weeks blog task. Pinterest is a social media platform that interests me and admittedly I could spend hours browsing various content. I have never gave much thought into just how much a business could benefit from setting up on Pinterest, but Pinterest for Business and the article I referenced have confirmed how beneficial it can be. CQUniversity 2015, COMM11007 – Week 8 – Writing for Social Media Study Guide, CQUniversity, Mackay.